I have shared many times my dream of traveling. I never actually walked out of my comfort zone in terms of places I wanted to visit. The furthest I’ve been is Antipolo and mind you, it was only a short trip to host an event. As an action plan for my strong desire to travel, I knew that I don’t have to procrastinate anymore and just commit to it. Just last week when me and my best friend, Nica is just having our usual conversation during lunch time. She told me that she haven’t been to Tagaytay and since I’ve been there before to host a wedding and spend a brunch I thought this could be a great opportunity to embark on a journey of traveling. 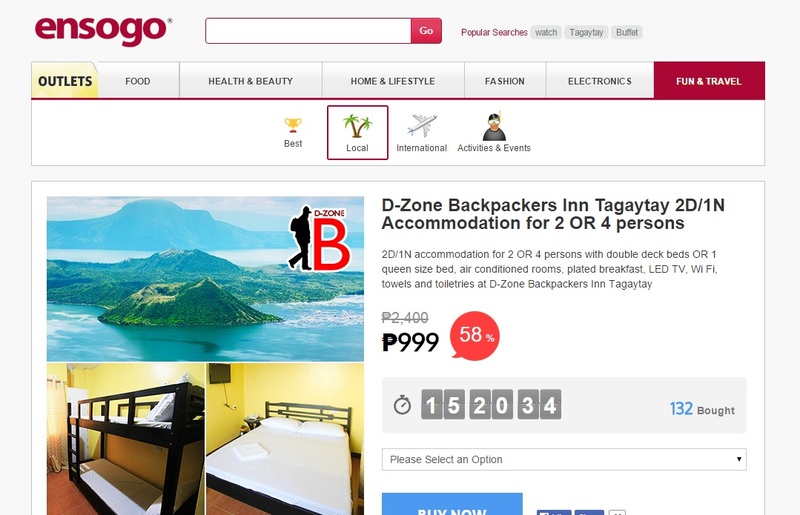 We booked a 2 Days 1 Night Traveler’s Inn in Tagaytay!!! Though I’ve been to Tagaytay for a day trip I never actually tried to spend a night at one of the best tourist destination near Metro Manila. We wanted to do our own itinerary or to-do list so the only thing missing is the place to stay in at night. We both wanted it to be more than just a day trip. I volunteered to do our itinerary so if you’ve been to Tagayatay and you have ideas on the must-do’s please let me know. I badly need your advice.Nica wanted to go to People’s Park which I haven’t been to ever so we will surely add that. I also need recommendations on where to eat for the only places I’ve been to in Tagaytay were Bulalo Point and Bags of Beans. Right after our conversation I told Nica that I can check at Ensogo for a budget hotel we can stay at. I am just super excited that this whole “travel” thing is finally coming true. I am praying for more adventures and more fun and exciting destinations. I know that there will surely be more to see and more to do outside my comfort zone. Time Management Tips for Pinoy Students – New!